We love all kinds of no-sew projects because we don’t like to sew. And these no sew curtains from Our Southern Home are simply beautiful. 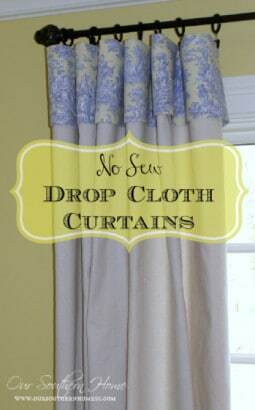 While no sew curtains are not a new concept, we love that these are made with drop cloths that are inexpensive and easy to find at any home store. Also, the neutral color of the drop cloth lends itself to many color options. Notice how Our Southern Home uses additional fabric at the top of each panel to dress the drop cloths. 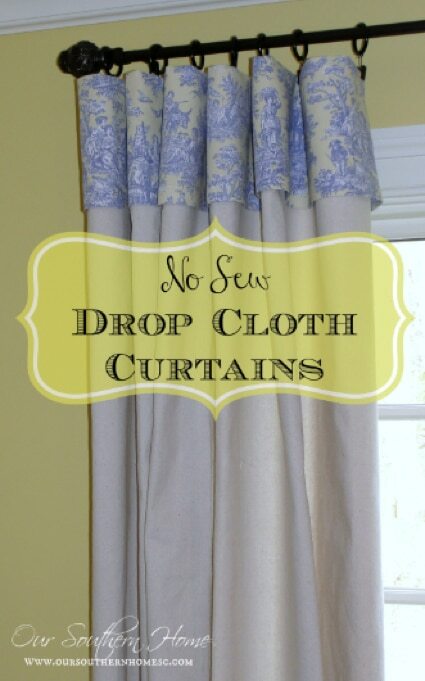 By just changing the top fabric, you easily can make curtains to coordinate with the various rooms in your home.